Is your garden overflowing with too many good things? Lots of gardeners end up with more produce than they need in late summer. Help is here! Learn ways to store, freeze, or cook your overabundance of common garden vegetables and herbs. Storage: Here’s a basic rule of thumb for tomatoes: if they’re ripe, they can go in the fridge for up to four days. If they’re not ripe, leave them at room temperature until they are. 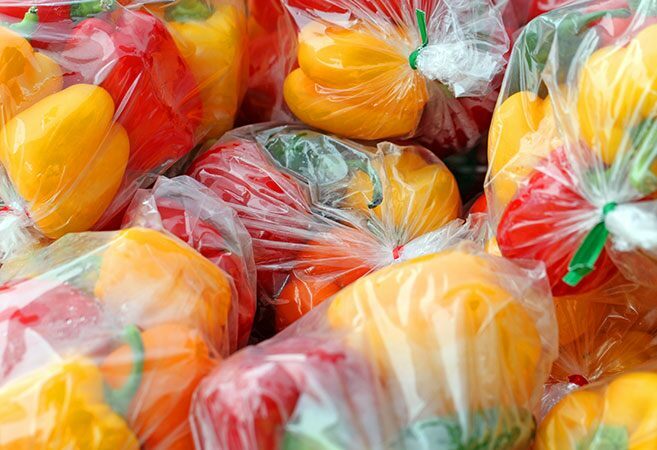 Freezing: Did you know you can pluck tomatoes straight from the garden and place them right into a freezer-safe bag? This method works best if you plan to use those tomatoes primarily for winter soups, stews, and sauces. Storage: Red, yellow, and orange bell peppers will keep in the fridge for about one to two weeks. Leave them unwashed and stored in the vegetable drawer until you’re ready to use them. Green peppers can last a little longer—about 2-3 weeks. If a recipe calls for half a bell pepper, cut the rest into slices, wrap them in a paper towel, and store in a plastic bag for up to two days. Freezing: Slice or dice the peppers and place them in a single layer on a baking sheet. Freeze them until they’re crisp. Then transfer them to a freezer bag for up to eight months. Storage: Eggplant will keep for up to a week in your refrigerator vegetable drawer. Freezing: You can blanch and freeze slices of eggplant in freezer bags for up to one year, but like tomatoes, their texture will be mushy when thawed. 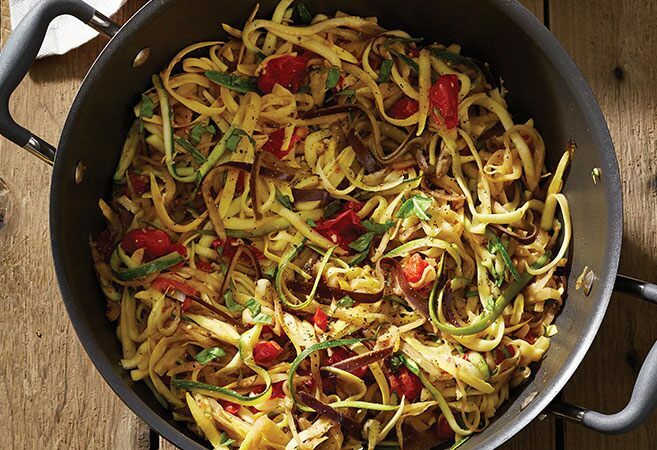 That’s okay if your future meal plans include stews like ratatouille. Or freeze already breaded and cooked eggplant for future eggplant lasagnas or parmigiana. Storage: Most herbs can be refrigerated, but delicate herbs like basil and cilantro keep better at room temperature. Freezing: Chop herbs to the desired consistency. (The Manual Food Processor is great for this.) Then add about a tablespoon of processed herbs to each well of the Herb Freezing Tray. Top the herbs with a little water, cooking oil, or broth. Make sure the herbs are fully covered in liquid. Put the lid on the tray and freeze your herbs for about four hours. 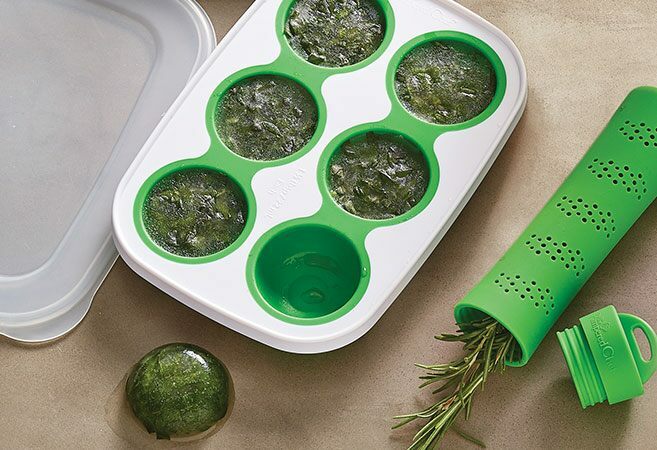 Then transfer your frozen herb discs to a freezer bag. Cooking: Add these frozen herb flavor discs to soups, stews, and sauces. 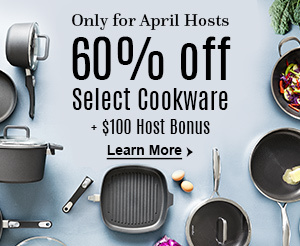 Or pop them into pans of veggies, meat, chicken, or fish toward the end of cooking to add flavor. 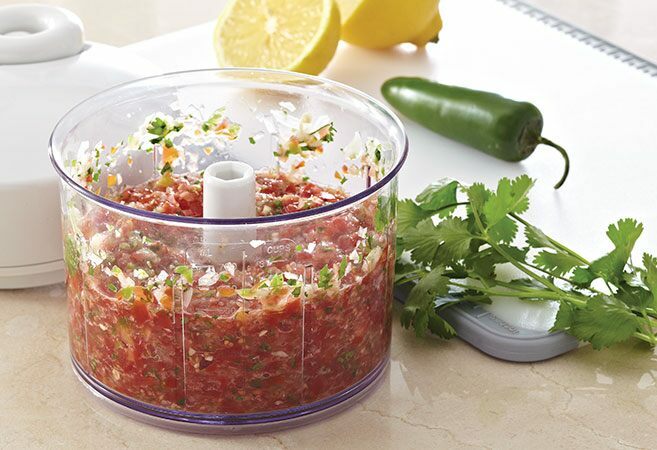 You can also thaw your frozen herbs for salad dressings, salsas, and casseroles. Storage: Cucumbers can last one week if they’re stored in a plastic bag near the front of your fridge. This should keep your cukes around the ideal 40°F. For longer storage, consider canning, pickling, or freezing them. Freezing: If you want to skip canning, you can freeze cucumbers for infused water, soups, and smoothies. Their consistency won’t be good for typical cucumber dishes and salads. 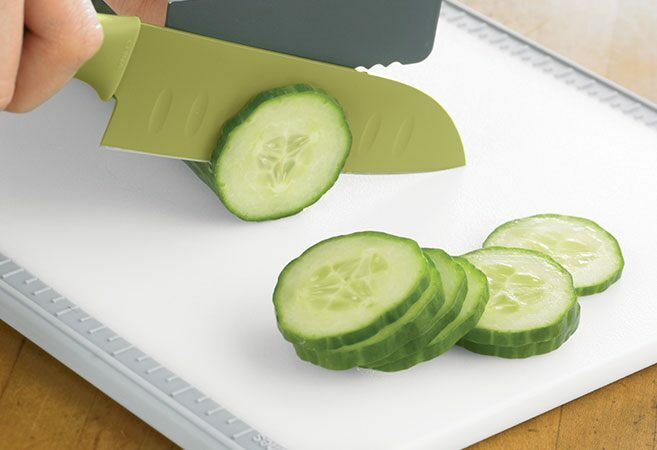 Wash the cucumbers, slice them, lay them flat on a baking sheet with parchment paper, and put them in the freezer. Once frozen, transfer them to a zippered freezer bag and mark it with the date. Storage: Squash and zucchini follow the same rules as cucumbers. They’ll last three to five days in the front of your fridge. Keep them unwashed in a plastic bag. Freezing: The tried-and-true method is to blanch squash before you freeze it. 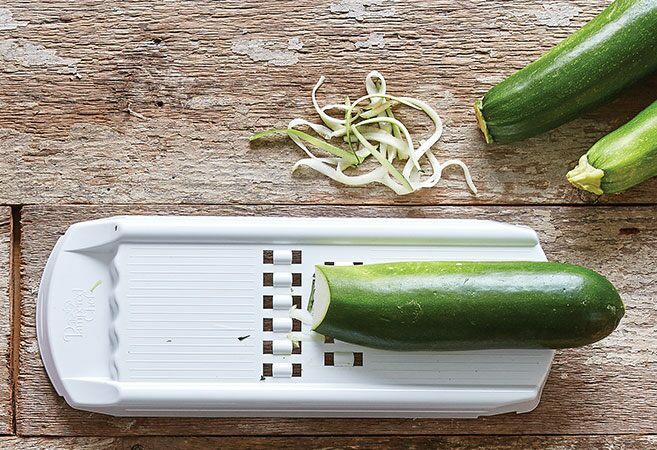 But an awesome and quick way to freeze zucchini or squash for quick breads, cakes, muffins, etc., is to grate them almost like a hash using the Veggie Strip Maker. Seal the shreds in freezer bags and mark them with the date. Welcome to Professional Women of Lake County, Kathy! !